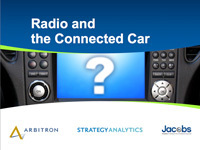 Radio and the Connected Car! Brought to you by Arbitron, Strategy Analytics and Jacobs Media. Download the Executive Summary now. 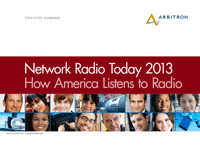 Arbitron clients can download the full study at my.arbitron.com. Tapscan 11.2 is currently experiencing technical difficulties. Our staff is working to resolve the issue as quickly as possible.